The KEY TO THE KINGDOM®, (K2K) is a spirit filled journey in design, a vision many years in the making. We are humbled and honored to bring these uniquely meaningful designs to you! The KEY TO THE KINGDOM® is a one-of-a-kind design showcased in a growing collection of creative jewelry pieces. Each handcrafted piece is rich in symbolism discovered in the Bible; like a "wearable witness", they make a great conversation starter for a divine appointment. The collection is designed and created in Texas by talented artisans who make almost every link by hand with lots of prayer and a loving touch. The KEY TO THE KINGDOM® design is about the eternal door Christ unlocked at the cross. It’s about opening hearts. It’s about giving hope. It’s about sharing your faith... in style! The vision behind the KEY THE THE KINGDOM® project is to help Christian missions help hurting people and share The Good News. 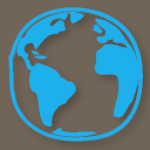 We are a 'not-just-for-profit'; which means we are creating a sustainable business that will help produce a flow of funds to a growing list of organizations and missions we support. When you support this vision we build an unstoppable team! 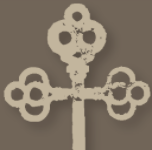 Please visit our Key Story page about the vision of the key cross. And check back often to see what's new. Thank You for stopping by! May God richly bless you! I will give you the keys of the kingdom of heaven. Whatever you imprison, God will imprison. And whatever you set free, God will set free. We would like to thank Wall Street Western for providing a few outfits to make our recent photoshoot amazing!